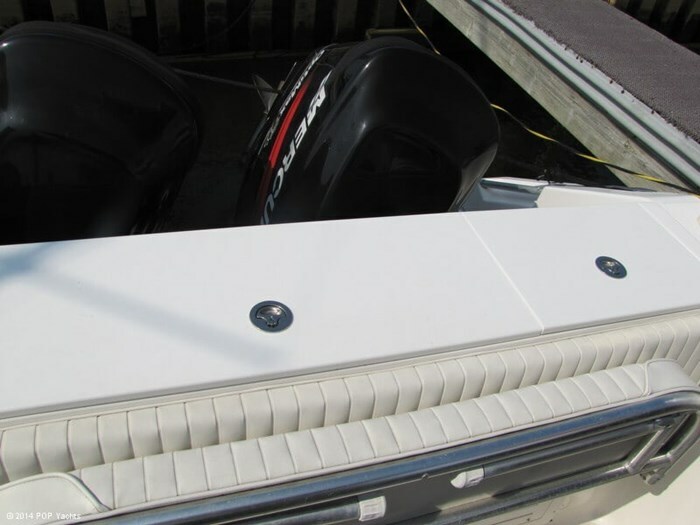 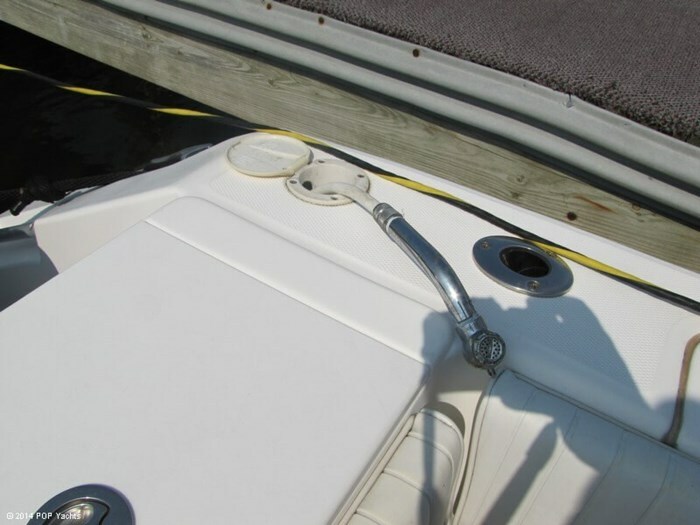 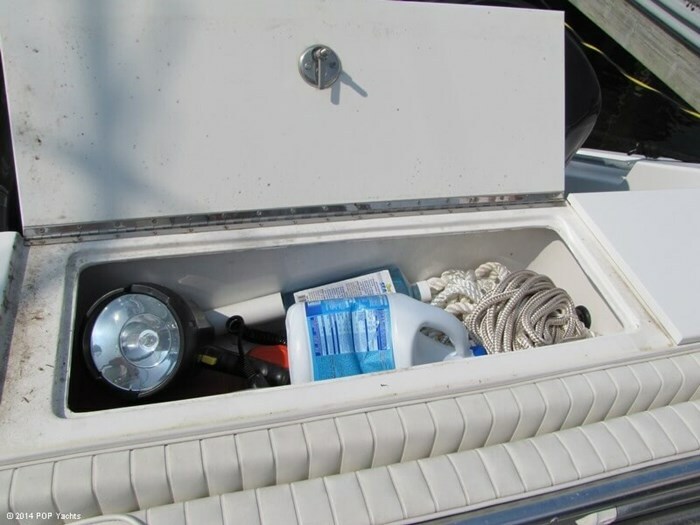 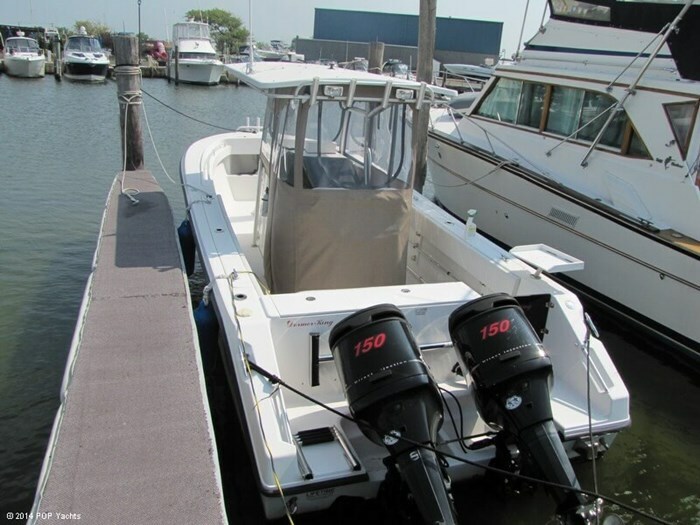 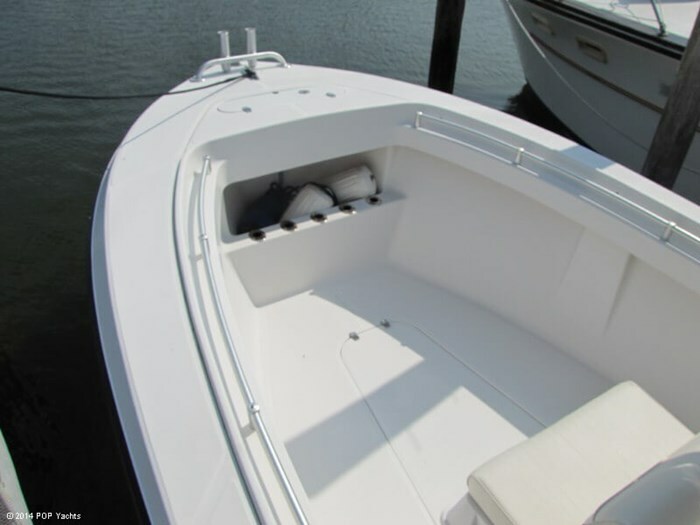 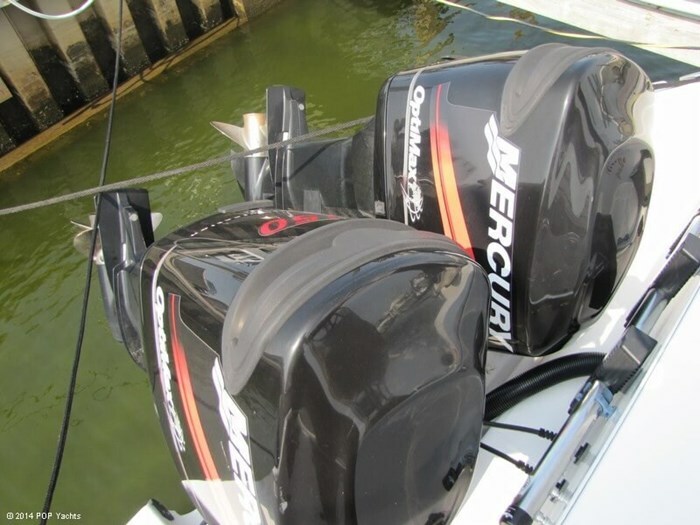 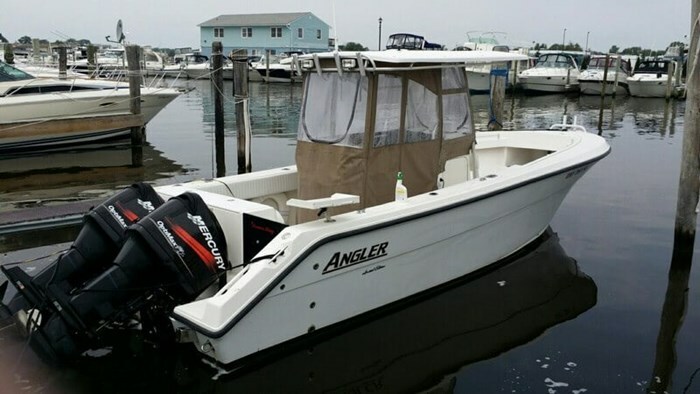 This boat was purchased new April 2013 and has a total of 6 hours on the boat and motors. 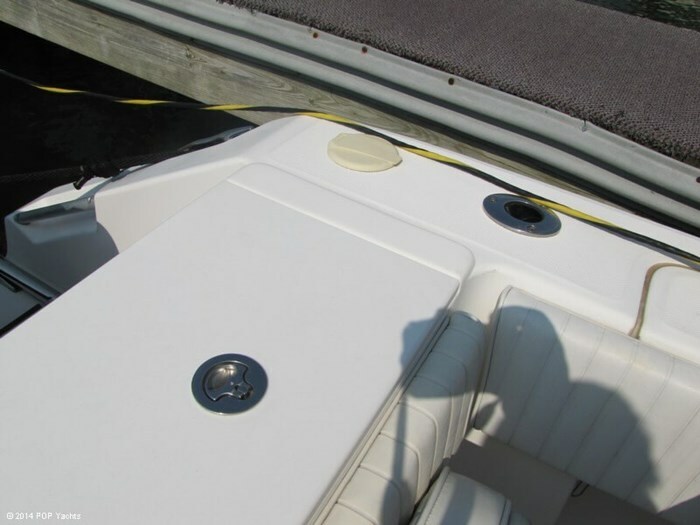 Bottom has been painted and it currently is in the water. 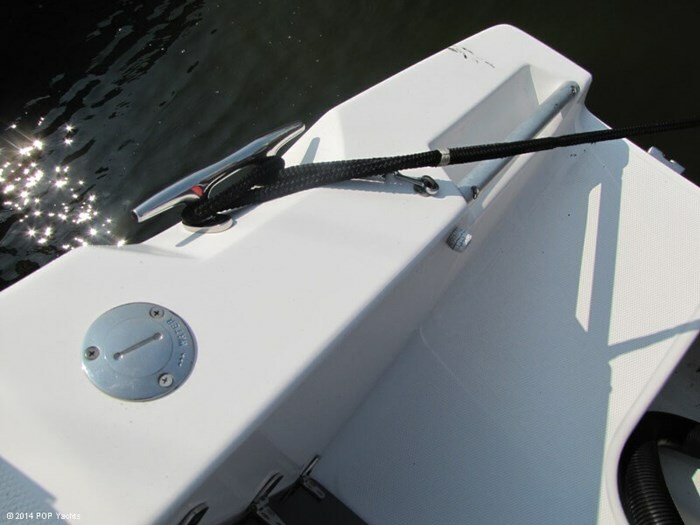 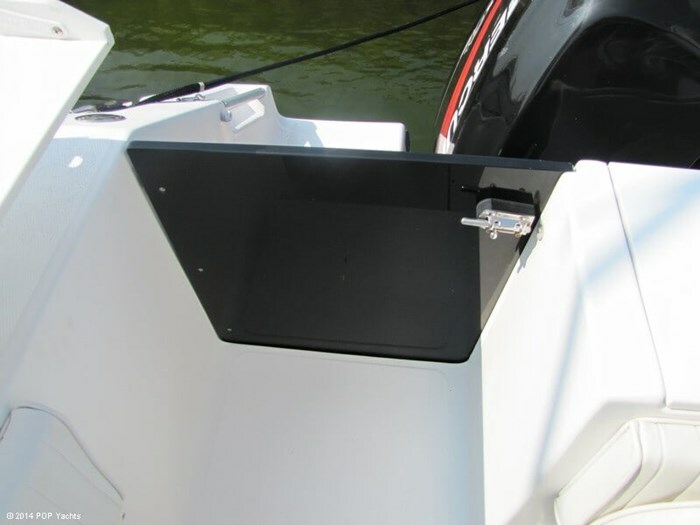 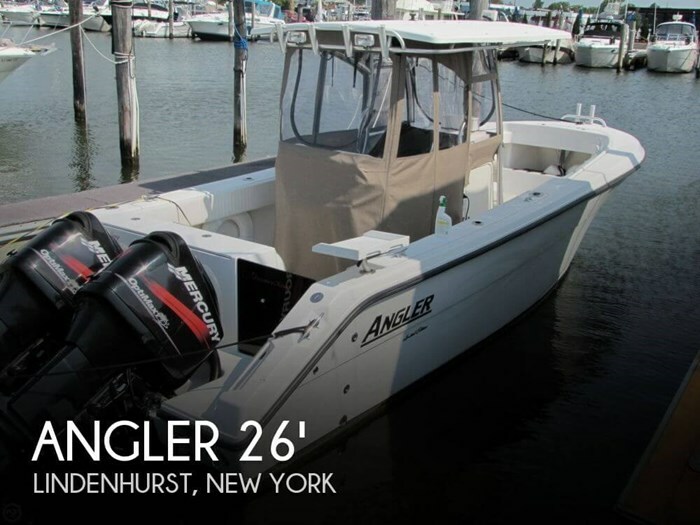 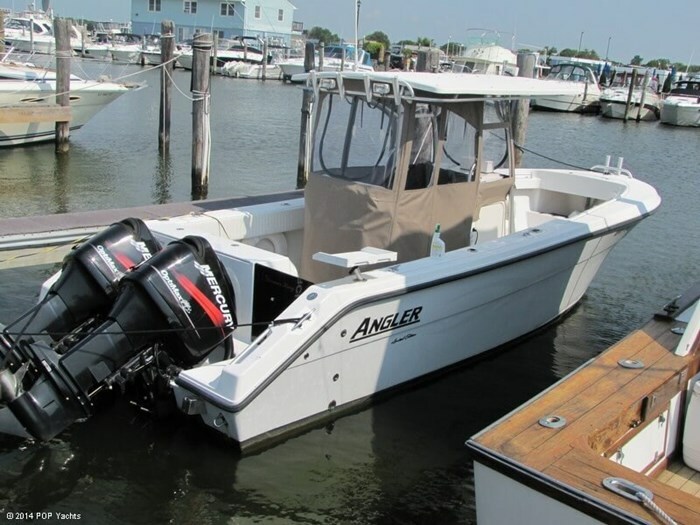 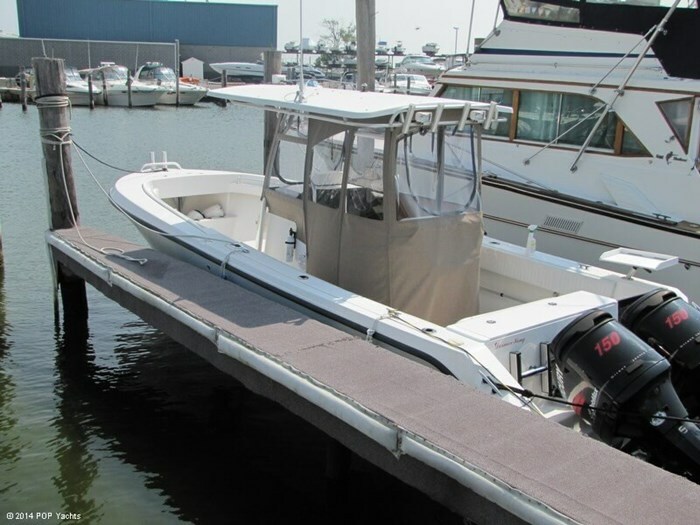 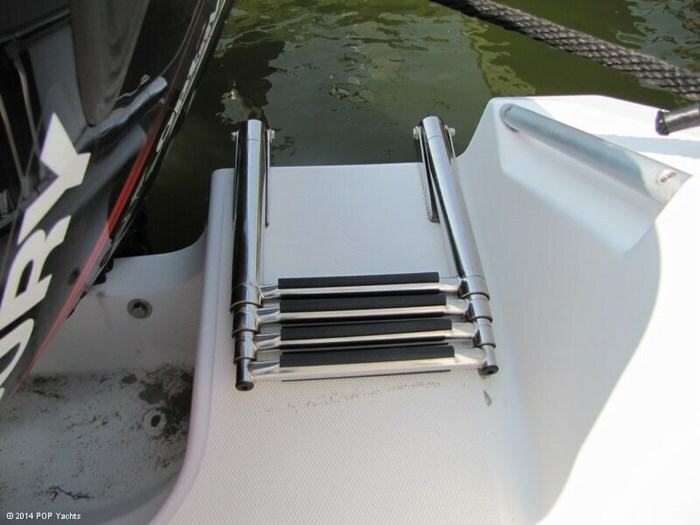 Additions to the boat are the Garmin 780 touch screen GPS, the center console wrap around canvas with isinglass, Porta potty and additional swim ladder. 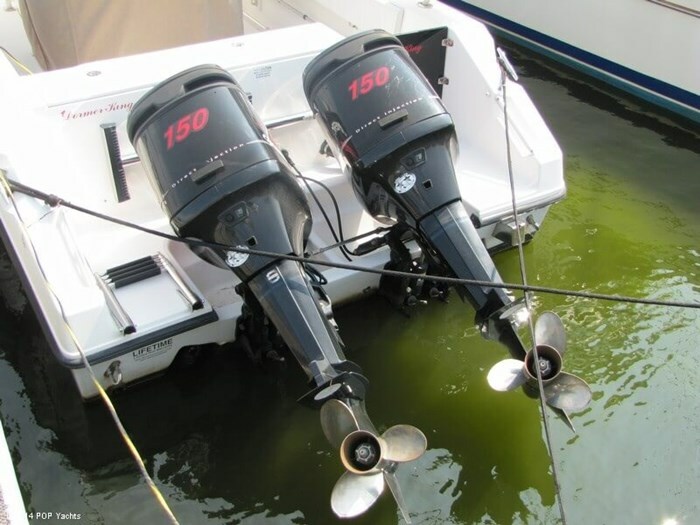 You will be purchasing a brand new boat with this one. 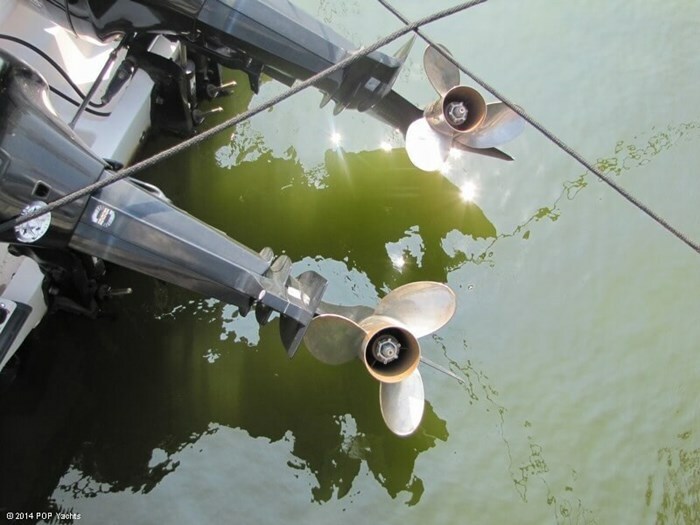 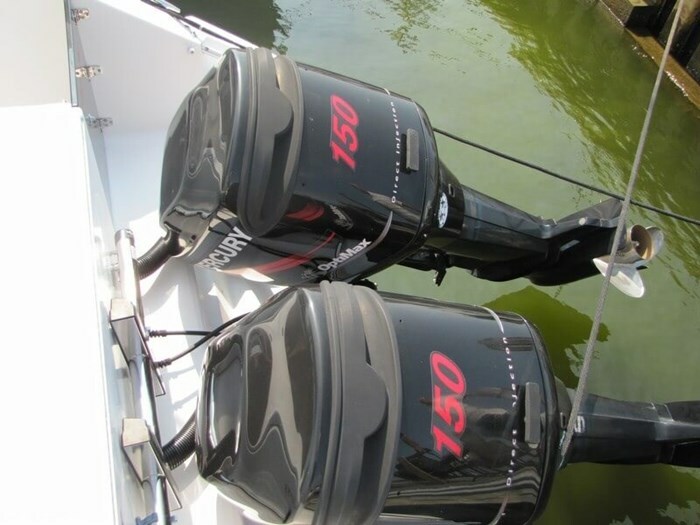 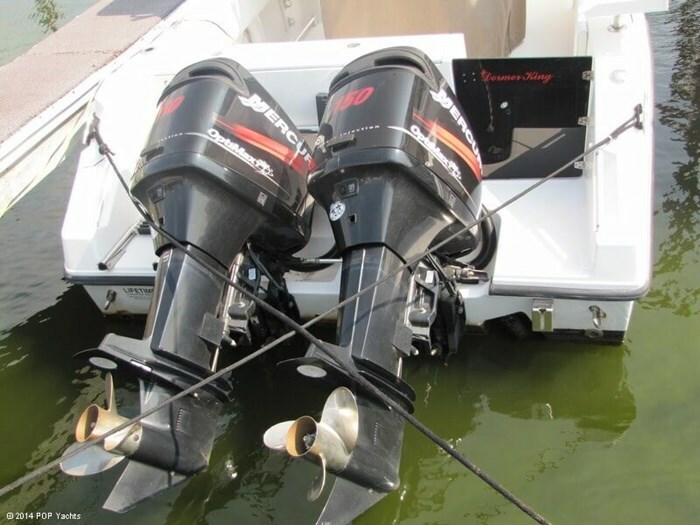 The hull warranty will transfer to you for 5 years. 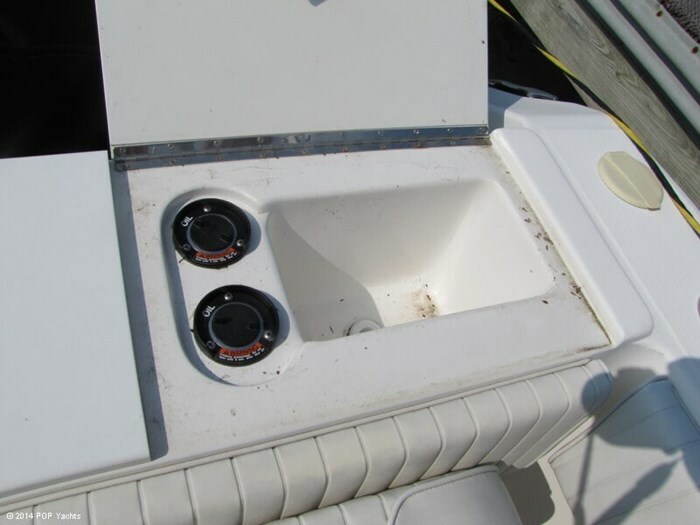 The trailer is being included as is condition. 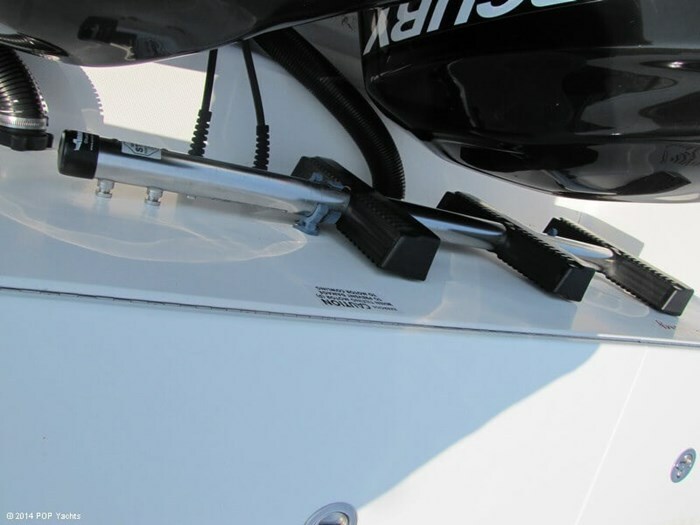 The dual axle trailer has brakes on one axle with one of the brakes being inoperable.